Membership of Titirangi Theatre is not expensive, and benefits include free entry to all our shows. $35 per annum standard membership: receive 4 free tickets (1 ticket per show) per 12 months. $60 per annum couples membership: receive 8 free tickets (2 tickets per show) per 12 months. As a member you will be entitled to a discount when you hire a costume from our extensive range, and you will receive Spotlight, our regular theatre newsletter. And best of all, being a member enables you to participate at any level you like and to meet a wide range of individuals who all share a love of theatre! There is a place for volunteers in every aspect of the theatre's activities. Volunteers help with props, wardrobe, lighting, set building and sound. They also help with front-of-house, marketing and lots more. What ends up on stage is the result of a fun and rewarding community effort. Nothing would happen in the theatre without the help of willing volunteers. 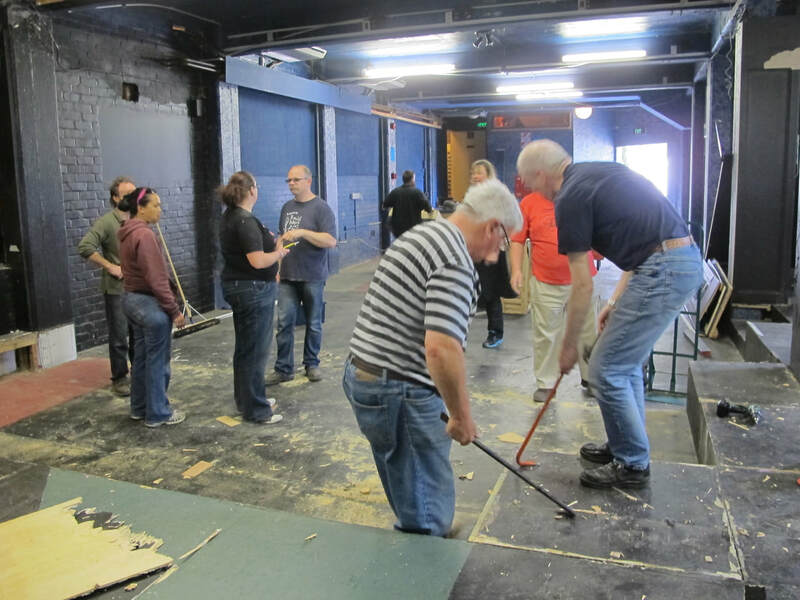 For volunteers with experience it's a great way to help the theatre. For volunteers without experience it's a great way to learn the myriad skills that go into theatre production.